Just Listed :: Charming Townhome in Smyrna! Welcome home! 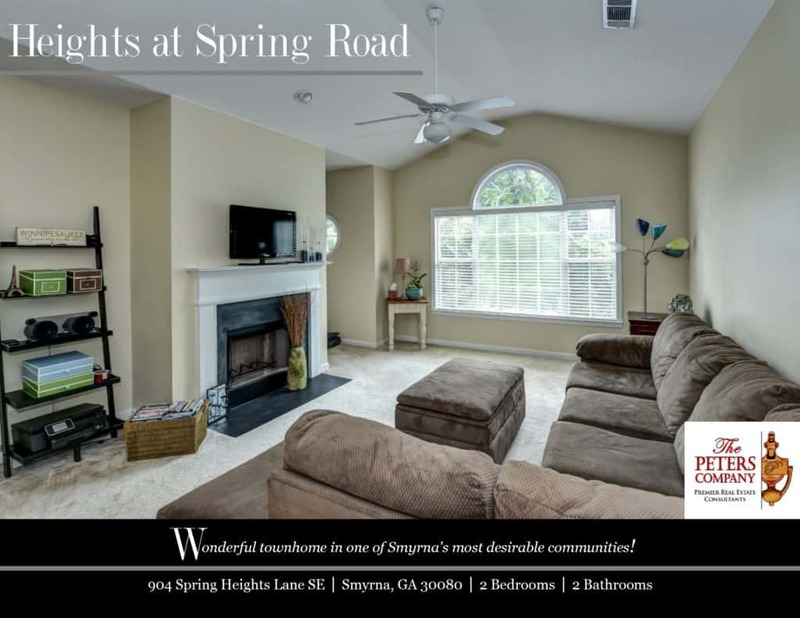 The Heights at Spring Road is a wonderful community in the incredibly popular and fast growing Smyrna area of Cobb County. The open floor plan, custom features, and charming character of this townhome will never go out of style. The close proximity to I-285 and I-75 makes this property convenient to and from any direction. You’ll also have easy access to the other highways, byways, and activities that make this location such a well-loved destination. You will certainly enjoy being only minutes to Smyrna Market Village, Vinings shopping, several city parks, and SunTrust Field (future home of the Braves). Kitchen features ample cabinet space, large pantry, and breakfast bar. The spacious living room boasts a vaulted ceiling, cozy gas starter fireplace, and plenty of natural light. The separate dining area is perfect for entertaining guests or casual meals at home. The master suite is a true retreat including a walk-in closet, private master bathroom, and access to the balcony. Additional bedroom and bathroom are well-sized and bright. Laundry conveniently located in the unit. The covered balcony is ideal for outdoor enjoyment. One car garage easily fits vehicle with extra storage space. Wonderful amenities include gated/secure access and a well-maintained pool. Great location close to interstates, shopping, and restaurants!